"POWERFUL AND ORIGINAL." --THE TIMES"REWARDING AND WHOLLY ENGAGING." --HISTORICAL NOVEL SOCIETY"ONE OF THE MOST IMPORTANT AND POWERFUL NOVELS OF RECENT GERMAN LITERATURE." 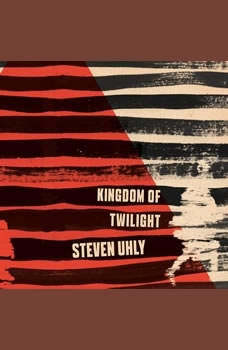 --DEUTSCHLANDRADIO KULTURHypnotically lyrical and intensely moving, Steven Uhly's epic novel set in the wake of World War II is a finely nuanced yet shattering exploration of universal themes: love, hatred, doubt, survival, guilt, humanity, and redemption. One night in autumn 1944, a gunshot echoes through the alleyways of a small town in occupied Poland. An SS officer is shot dead by a young Polish Jew, Margarita Ejzenstain. In retaliation, his commander orders the execution of thirty-seven Poles--one for every year of the dead man's life. First hidden by a sympathetic German couple, Margarita must then flee the brutal advance of the Soviet army with her newborn baby.So begins a thrilling panorama of intermingled destinies and events that reverberate from that single act of defiance. Kingdom of Twilight follows the lives of Jewish refugees and a German family resettled from Bukovina, as well as a former SS officer, chronicling the geographical and psychological dislocation generated by war. A quest for identity and truth takes them from refugee camps to LA¼beck, Berlin, Tel Aviv, and New York, as they try to make sense of a changed world, and of their place in it.